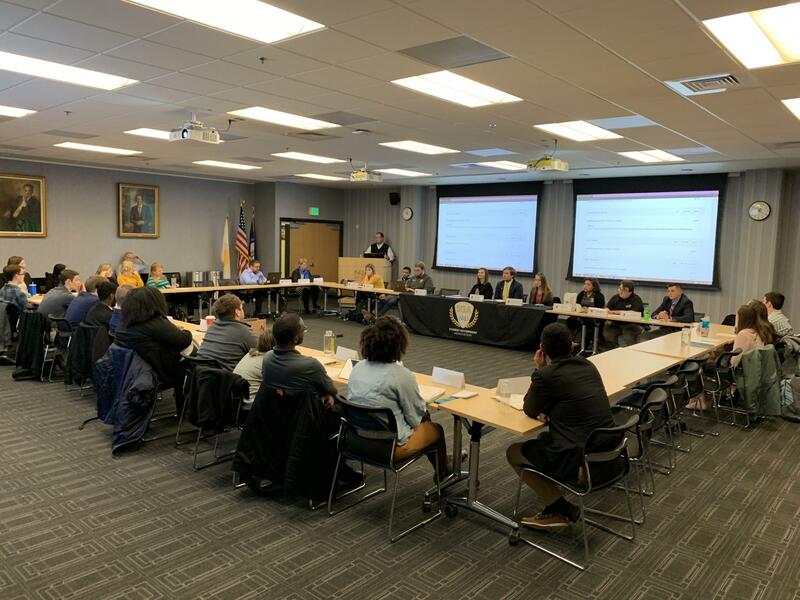 SGA meets every Monday at 3:30 p.m.
With 30 Senate members and an Executive Board of 10, Student Government Association is a dedicated, hardworking student-run organization that advocates for NKU students. “SGA does a lot of great things for this university, a lot of fun things and difficult things,” said Matt Frey, vice president of SGA. SGA’s goal is to take on tasks deemed impossible so they can better the student community. SGA relies on students and the Board of Regents to achieve their goals. According to Frey, when negotiating with various powerful people, there can be conviction in their stance. “You just have to sit down, talk out the points and find a solution—some are more difficult than others. You have more difficult personalities and some people are a little jaded with the ideas of things that have not been done for a while,” said Frey. SGA has two main ways of formalizing legislation; however, their most successful is their formal method. 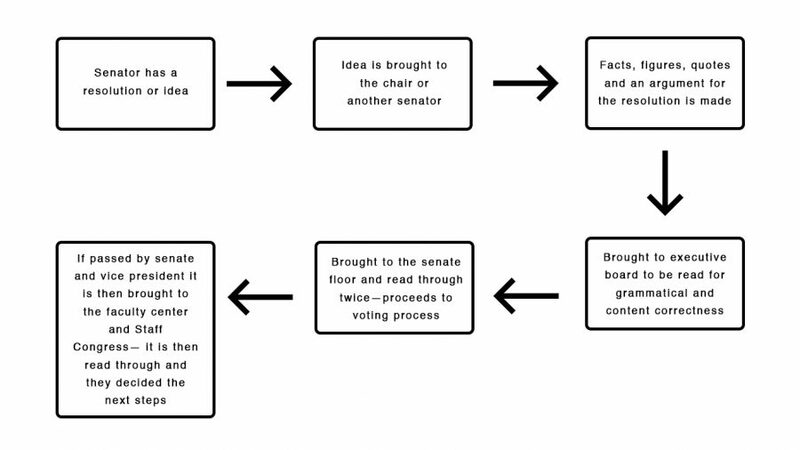 A flow chart of the formal method student government uses to finalize legislation. “This year we have completely transformed the student government; a lot of people didn’t understand what student government was or if they were interested in it,” said Hannah Edelen, president of SGA. Edelen believes that this current administration has made SGA more available and accessible to students. SGA has created “Round Tables” where they meet with leaders from each organization about their concerns and problems. This allows senators and the Executive Board to discuss possible ways to better each student community. “This semester Hannah and I are organizing to go into [other organizations] meetings to talk to people about what [SGA] have done so far,” said Frey. 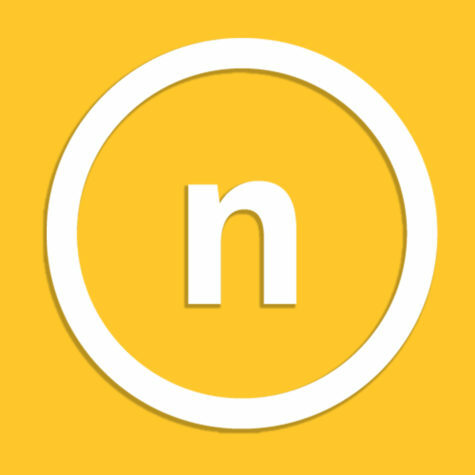 CircleTalks, VictorTalks and Touchpoints are also communication methods conducted to engage the student community in conversations on hot topics. “We are being more available to students. We are not going to wait for you to come to us for a problem, we are going to come to you first,” said Edelen. Although SGA has made many changes to improve their visibility on campus, there are students that hope to see more. “I would like to see them do more activities on campus, be more known,” said Taytum Akers, sophomore criminal justice major. Student-run organizations sometimes can often be overlooked and ignored, however, SGA is the exception. “SGA has a lot of power. The fact that a group of students can sit in a circle and talk about their problems and then I talk to administrators about those problems,” said Edelen. Students from various communities bring their concerns to SGA. According to Frey, members match their own passions with the concerns that they receive from students. Being partisan about issues is what helps move legislation along. This past year, SGA pushed the feminine hygiene initiative, ensuring free feminine hygiene products in all women’s bathrooms throughout campus. SGA also participates in civic engagement. Last year, they hosted the State Senate Debate, which had about 7000 viewers on live stream and filled the SU Ballroom. The debate gained them state recognition for their success. SGA has goals and legislation in progress to continue improving our campus for the betterment of the student body. “We are not doctoral students who are running this, we are students that care about other students that want to make a significant impact,” said Edelen.